Grab one or a whole set! These ceramic 8oz mugs are a perfect way to start your day! 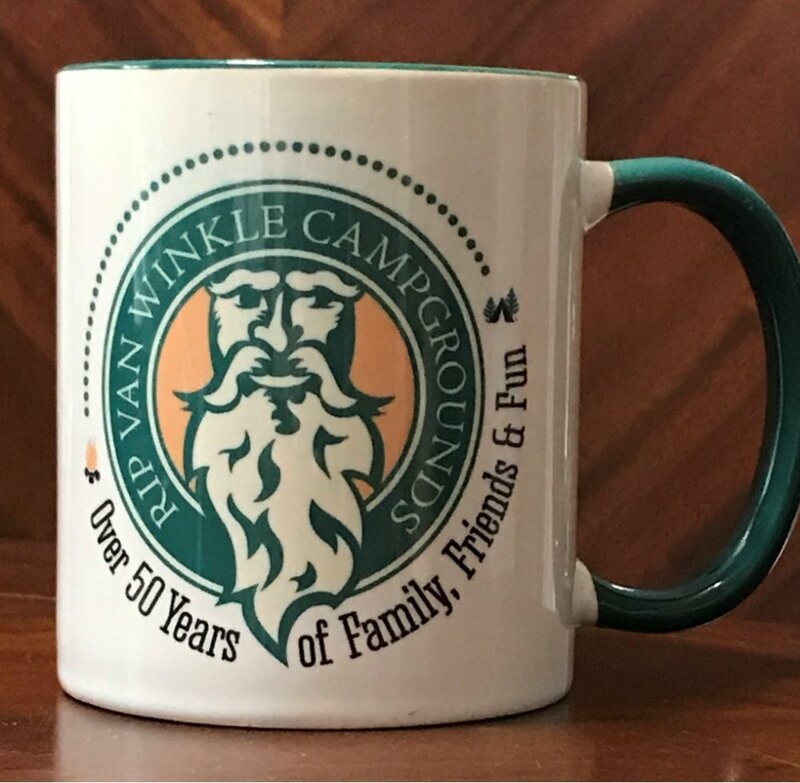 Cream exterior with Rip Van Winkle Campground logo and green interior and handle.